A slight detour from R1 took us to Laugarvatn, a natural thermal pool favoured by Icelanders over the Blue Lagoon. Some of our party went in but it was quite busy so we had a leisurely beer instead. Our guide took us on a short walk along the lakeside to show us where the locals baked their rye bread on hot stones near the pools. 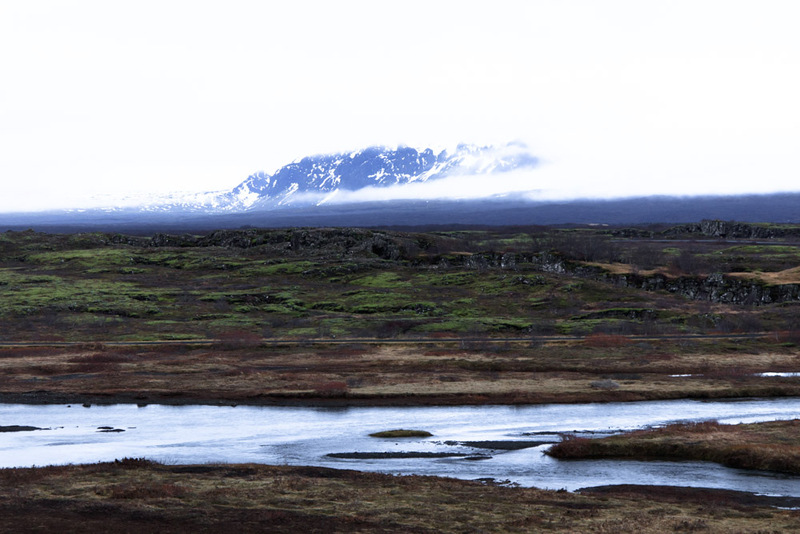 We then continued to Þingvallavatn in the Rift Valley. 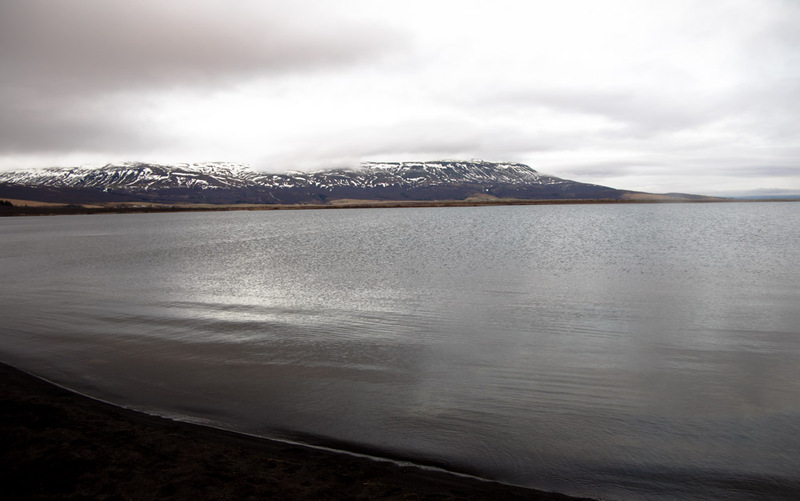 It is Iceland’s largest natural lake. Iceland’s ancient parliament used to be situated near here but was later moved after earthquakes and flooding. Apparently being drowned in marshes, lakes or the sea was one form of execution. The Rift Valley is widening by 2cm every year. We crossed over to the American plate and had a walk through the rocky cleft where the Öxará River runs. A short time afterwards we were back in Reykjavik for a meal in the Icelandic Bar. At the next table was a hen party from Suffolk. On our last day we had a slow start and walked down the coastal path to the Modern Art Museum at the harbour. 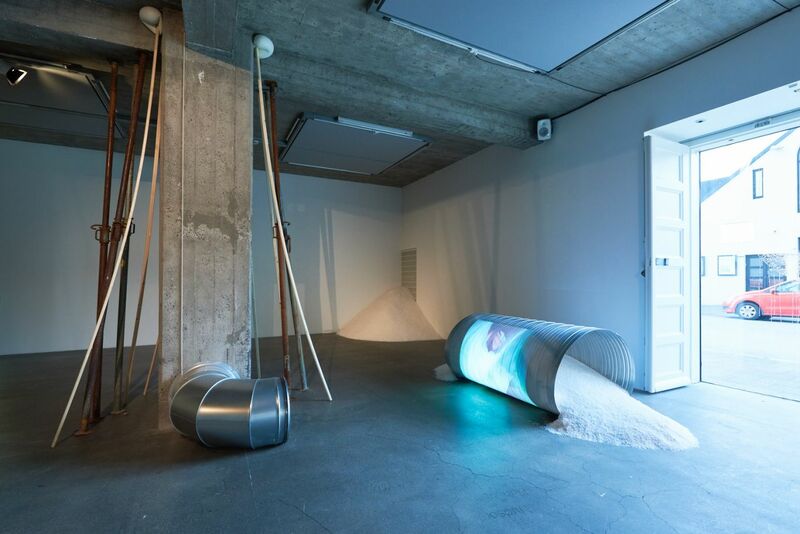 On the ground floor of the museum is an installation entitled Panik by Ilmur Stefánsdóttir who is also a theatre designer. Photography was not allowed so here is a picture from the museum website. 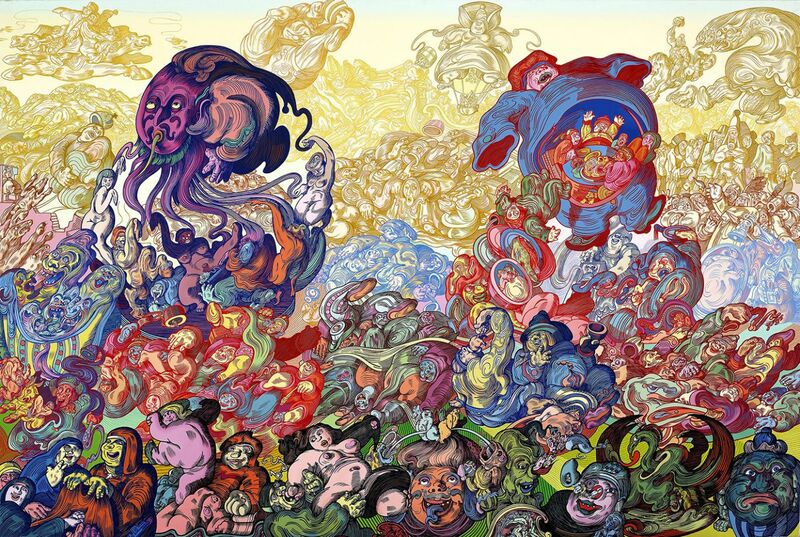 The first floor had video installtions from their archive but I think my favourite of the exhibits were the colourful pop artist Erró’s works. We went into the cafe only to find that the espresso machine was broken. The member of staff behind the counter brewed a pot of coffee and then refused to take payment as were were ‘guests’. The 24 hour ticket for the gallery also covers the Painting Museum and Sculpture Garden elsewhere in the city. They and the Photography Museum will have to wait until the next visit. 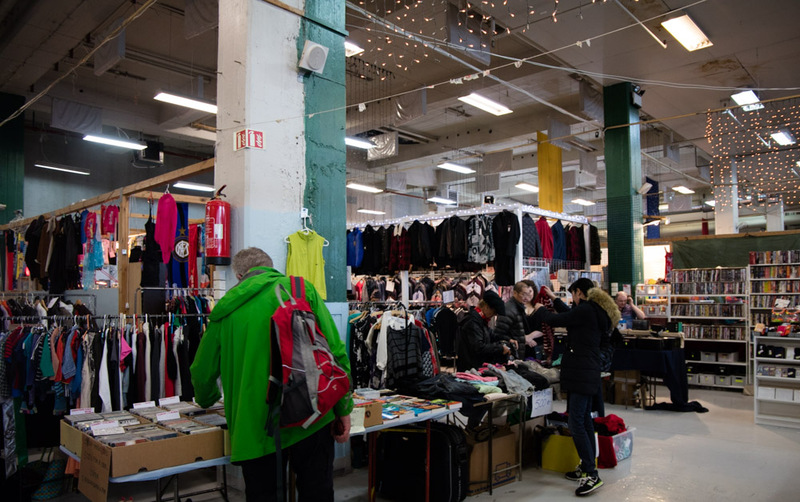 Also down near the harbour is the Flea Market which is open daily 10-5. There is some serious collectors’ stuff including postcards, stamps, vinyl and vintage clothing but also bric a brac, secondhand books, DVDs, CDs and Icelandic woollens at 50% of the price in the shops. There is also a section devoted to Icelandic Food. Wandering back it was too foggy to climb to the top of Hallgrímskirkja for the view and we have seen some fabulous views in the last week. 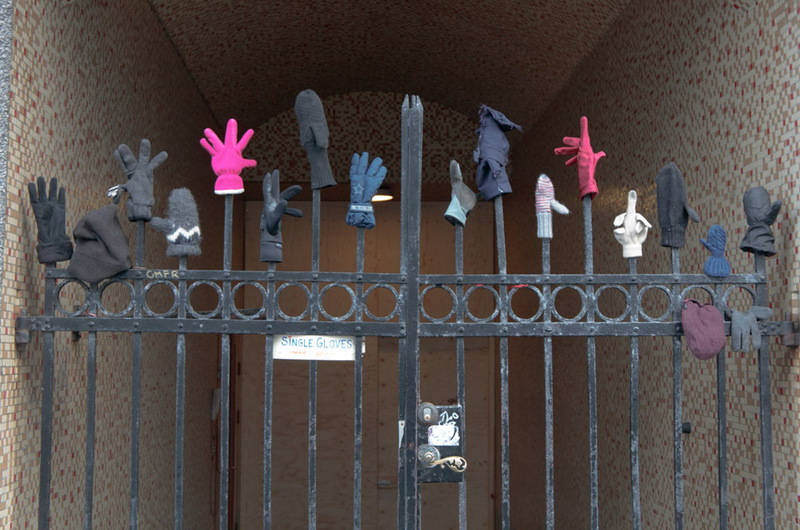 Heading back down the hill to return to our hotel we came across this intriguing collection of single gloves. The sign reads ‘Single Gloves’ and someone has added ‘speed dating’. 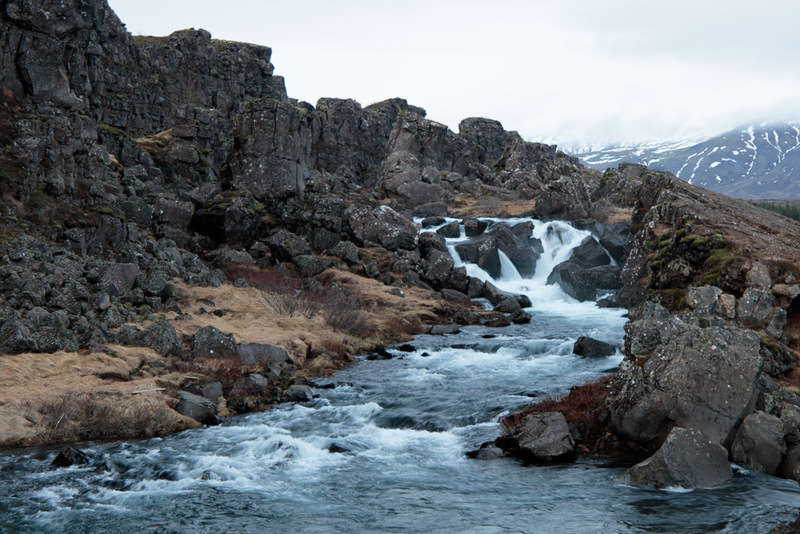 The project was begun by Estelle Divorne who is originally from Switzerland but now living in Iceland.